September...school is back in session and Fall is on the horizon. Here in Texas, it's still pretty hot outside, but I'm trying to embrace a Fall mentality until Mother Nature decides to cooperate and drop the temperatures a bit. To me, Fall means football...and football means tailgating and football watching parties! Nearly every weekend during the football season, I put together a simple fiesta that includes tasty nibbles and refreshing beverages. One of my favorite beverages to serve is Bud Light Lime Ritas. Bud Light Lime Ritas come in a variety of fun, fruity flavors like raspberry and mango -- they're the perfect way to kick off any Fall Fiesta! 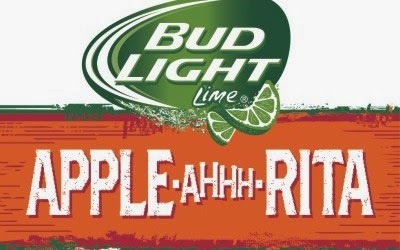 This Fall, Bud Light's featured seasonal flavor is Bud Light Lime Apple-Ahh-Rita. Its crisp, refreshing apple flavor makes it ideal for any Fall get-togethers that you're planning. I like to serve chilled Bud Light Lime Apple-Ahhh-Ritas over lots of ice in margarita glasses. There's no mixing necessary...simply pour and sip! That means I can spend my time cheering for the Texans. I'm a huge football fan, so I don't want to miss all of the big plays because I'm busy in the kitchen the entire game. To keep my Fall Fiestas stress-free and casual, I employ a few key strategies. (1) Keep it simple! Limit your menu to an easy appetizer or two, a filling main dish, and a make-ahead dessert. For cocktails, focus on ready-to-drink canned beverages like Bud Light Lime Apple-Ahhh-Rita. Don't dirty your good dishes -- use paper plates and disposable utensils that can be recycled after the party. Finally, if you've invited company over to watch the game, ask them to bring a dish too. Potlucks rule! (2) Do as much advance prep as possible. I serve items that can be prepared a day ahead or the morning of the game. I might assemble a lasagna on Saturday afternoon and refrigerate it overnight. The next day, I pop it in the oven just before kickoff so it's ready to eat by halftime. Slow cookers are also great for cooking chili and hot dips hours before kickoff. (3) Employ strategic use of convenience products. Homemade items are great, but there's nothing wrong with picking up a pre-cut veggie tray or a meat-and-cheese tray from the deli. Doing so will save you tons of time and stress. It will also free you up to focus on one special homemade item like dessert or a big pot of gumbo. (4) Make sure to offer a range of items. Everyone enjoys different flavors and textures, so I like to put out a variety of snacks. I often put out bowls of mixed nuts and popcorn, savory dips, and some sort of sweet item. It doesn't have to be fancy: cookies and cupcakes from a bakery or packages of frozen ice cream novelties are always popular at my house! For the first week of the Texans season, my Fall Fiesta menu included a duo of dips, chips, takeout wings, and my easy make-ahead Too-Good-to-Be-Lowfat Chocolate Eclair Icebox Dessert. The dip duo included a simple sour cream-based onion dip and store-bought edamame hummus that I topped with chunky salsa and feta. 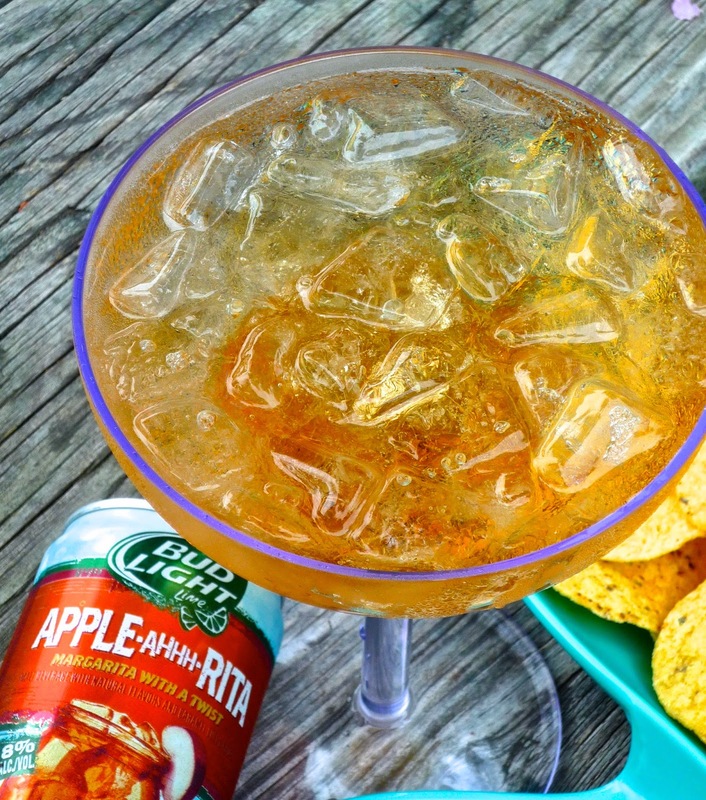 The dip platter took all of 5 minutes to assemble, and its bold flavors paired perfectly with the fizzy crisp Fall flavor of the Bud Light Lime Apple-Ahhh-Ritas!